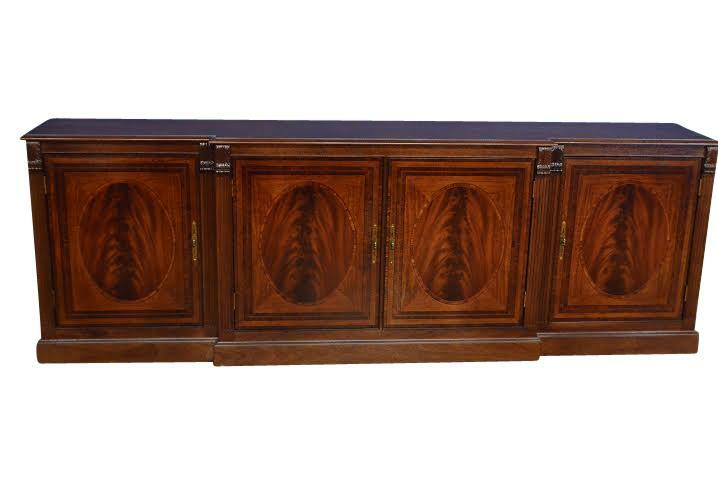 Description: This is a very long mahogany buffet at 104 inches. 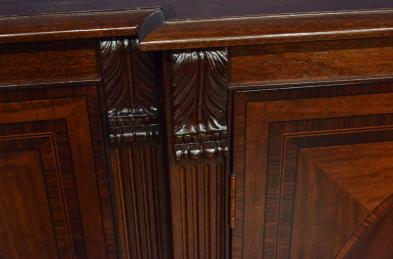 Considering its length is also a rather narrow buffet being that it is only about 17 inches deep. 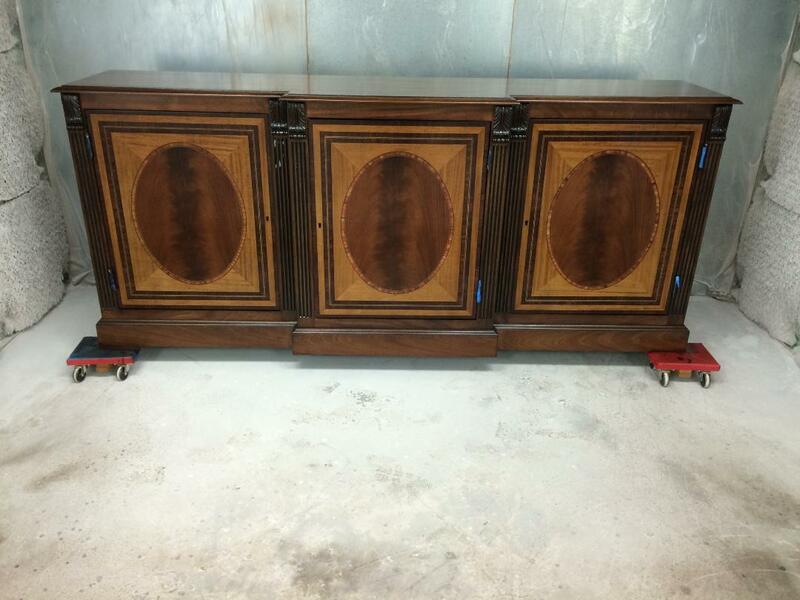 This is a great piece for those long narrow dining rooms that are looking for extra storage. 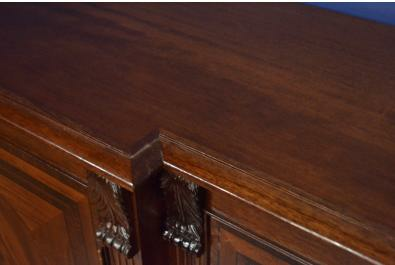 This buffet is not only functional but also beautiful with all the mahogany, satinwood and rosewood details. 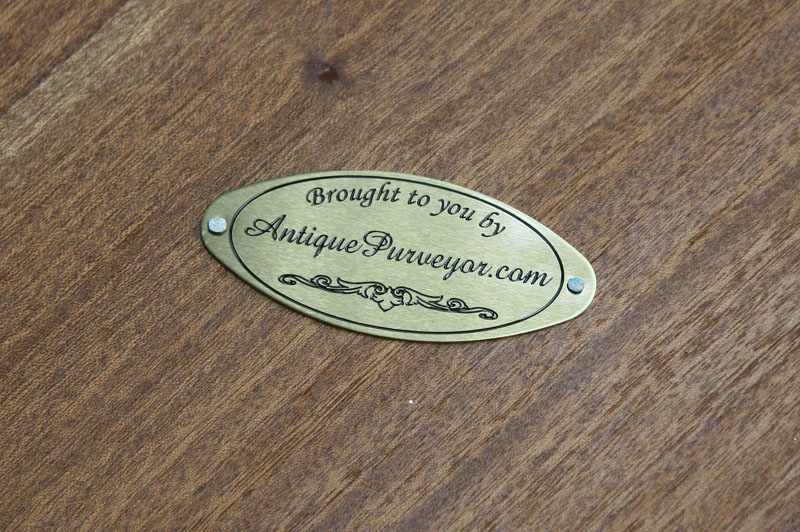 It has solid mahogany edging and leaf carvings adding to its quality.